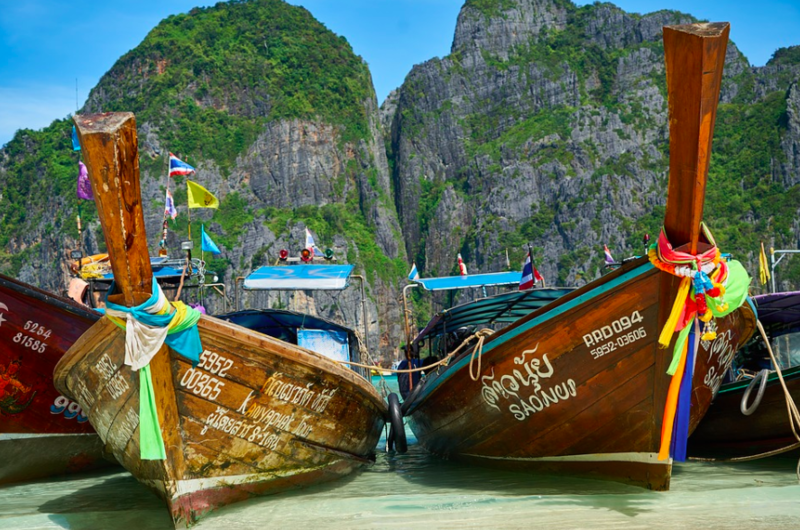 Thailand is one of the most popular holiday destinations to visit in Southeast Asia, offering amazing beaches, incredible cuisine, genuine hospitality and a compelling culture. 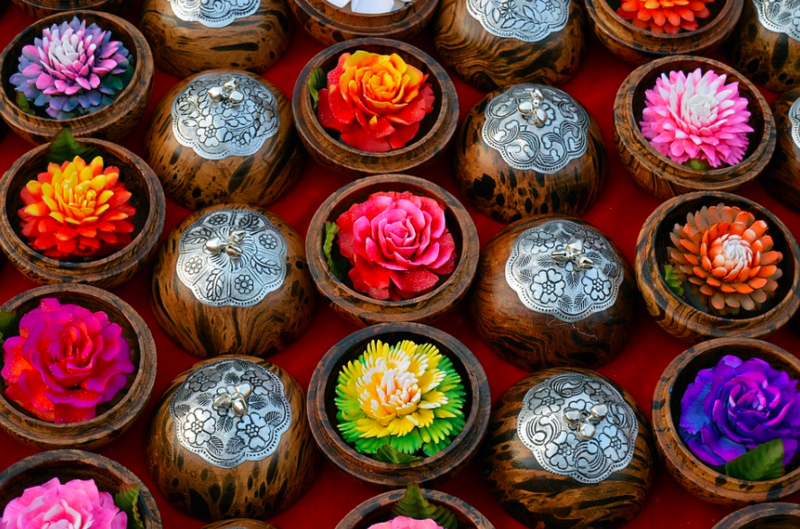 Yet with so many activities and attractions to choose from, make sure you don’t miss these distinctly Thai experiences. 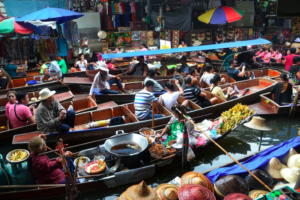 One of the images most associated with Thailand is that of its floating markets, which have retained their authentic charm despite their popularity with tourists. 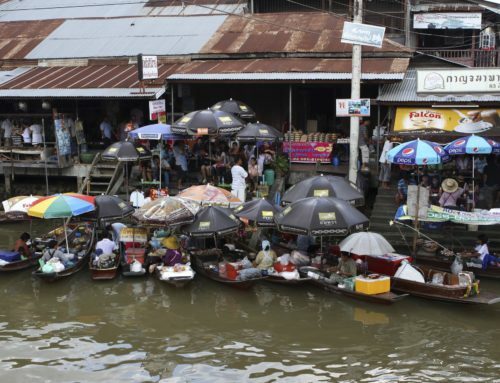 A visit will allow you to catch a glimpse of what used to be the normal way of life, until some of the main waterways in Bangkok got filled up to make way for roads. One of the biggest attractions at these markets is the food cooked and served from the boats. 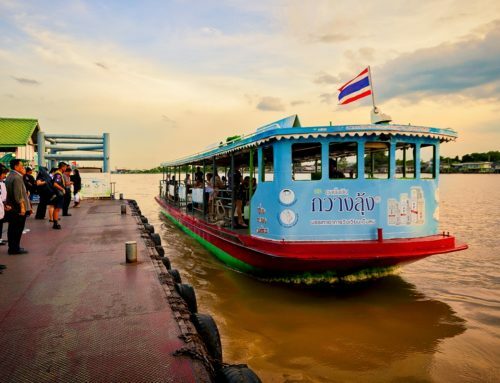 Head to Amphawa in Bangkok, or Khlong Lat Mayom towards the south of Bangkok — these are the closest a floating market can get to a romantic setting. The most famous of the floating markets is Damnoen Saduak with plenty of boats filled with fruit and vegetables. For an authentic and delicious taste of Thailand, try out the street food found on every street corner in Bangkok. Cooked fresh to order from a cart, the flavours are exceptional and distinctive and the products fresh. This is an extremely affordable way to eat. Don’t limit yourself to street food in the capital only, all over Thailand you’ll find street food for sale, often at family run stalls, always excellent. Look out for it at the night markets especially. Some might say you have not truly experienced Thailand until you have taken a ride in a Tuk Tuk. 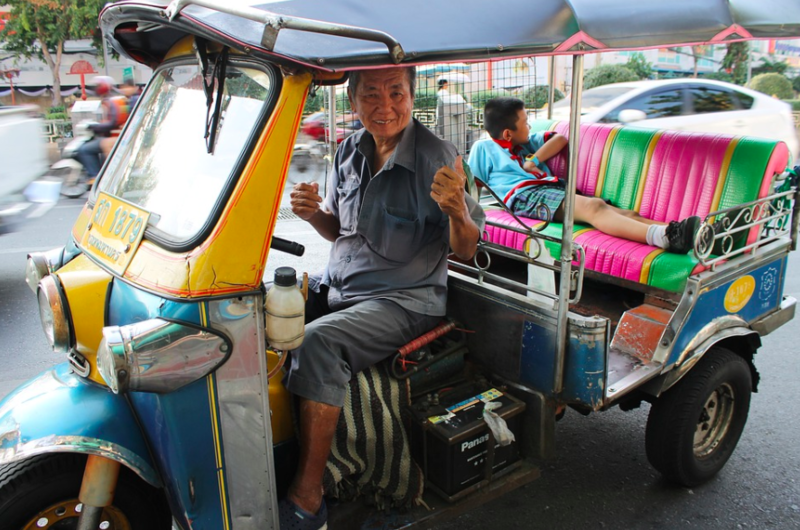 Practically Thailand’s national emblem, the tuk tuk is at the heart of the Bangkok experience for most first-time visitors. Tuk-tuks or ‘sam lor’ (three-wheeled) used to be everyone’s favourite way of getting around Bangkok before the BTS skytrain, MRT underground and taxis took over. Originating from an old-fashioned rickshaw during the second World War, a tuk-tuk is essentially a rickshaw with a small engine fitted in. They offer a journey like no other, filled with all the colour, commotion and thrill. A good tip is to negotiate a price for your ride before heading out. Don’t leave Thailand without the sheer indulgence of a traditional Thai massage. Also known as a Thai yoga massage, this ancient healing therapy combines acupressure with Indian Ayurvedic principles and assisted yoga postures. Unlike other types of massages, a Thai massage uses no oils or lotions and you get to wear comfortable clothes while your therapist pulls and stretches you through a series of yoga positions. It’s an incredibly rejuvenating and revitalising experience. If time is limited, a hand and foot massage is highly recommended and available at spas around the country. To truly experience Thailand you need to visit some of the country’s cultural sights and with over 30 000 temples in Thailand, you are guaranteed to never be too far from one. In Bangkok Wat Pho as one of the biggest temples in the city, is home to the impressive reclining gold Buddha statue. 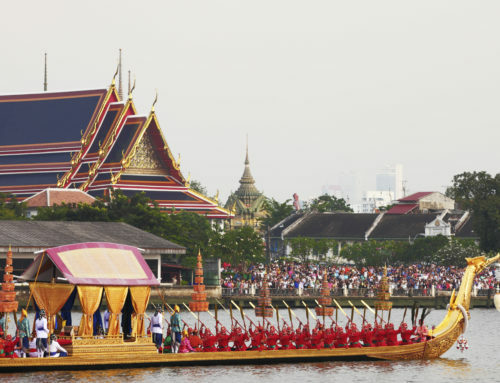 Visit the Grand Palace, this complex of buildings has been the official residence of the Royal Family since 1782, though the present family resides elsewhere while still using the Grand Palace for official events. What makes the Grand Palace so unique is that instead of being a single structure, it is made up of different buildings, halls, and pavilions set around open gardens and courtyards. The different kings who made additions and rebuilt over the course of 200 years gives the Grand Palace its wonderful asymmetry and eclectic styles. It is also here where you will see the famous Emerald Buddha and Reclining Buddha. Another worth a mention is the Doi Suthep Temple in Chiang Mai. Wat Phra That Doi Suthep gets its more commonly used name “Doi Suthep” from the mountain where it is located. Once at the base of this sacred site, you can climb the 309 steps to reach the pagodas or take a tram. Remember to dress appropriately for your visit and remove your shoes before entering the temple grounds. 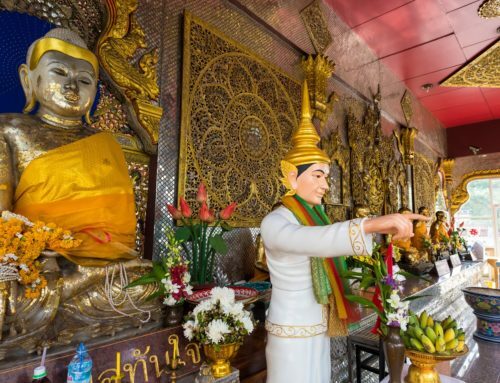 Inside of the site you will find stunning pagodas, statues, bells, a museum, and shrines, as well as spectacular views of the city of Chiang Mai. Thailand is a dream come true for the avid shopper. Head to Chinatown in the morning and to Siam by midday to lose yourself in its many air-conditioned malls. Of the things to look out for are the handcrafts, home décor, items created from coconut shells, Thai lanterns, silk, furniture, carvings, shoes, clothes, jewellery, accessories and t-shirts. In Bangkok the most popular shopping malls are Central World or MBK, or EmQuartier and Asiatique The Riverfront. Renowned for its many beautiful islands, Thailand has an impressive collection of beaches just perfect for a tropical getaway. When it comes to the coast two of the main areas most popular among travellers are The Gulf of Thailand and the Andaman Sea. 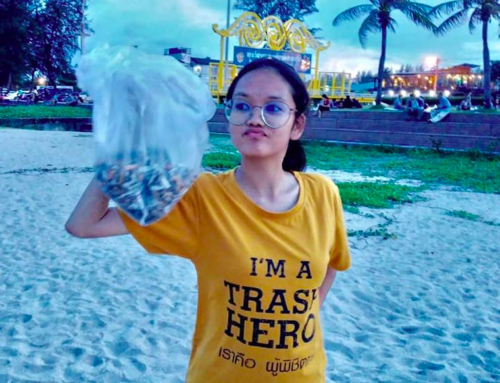 The Gulf of Thailand is a large Gulf comprising three main islands that feature on most tourist’s must-visit destinations are: Koh Samui, Koh Tao and Koh Pha Ngan. The Andaman Sea located on the west side of Thailand is the home to Phuket, Koh Phi Phi and Krabi. Technically, only two of those are islands, as Krabi is part of the mainland. But Krabi is a good place to visit nonetheless owing to the pristine Tongsai Beach and limestone rocks for those wanting to try out some rock climbing. Travelling between the islands can be done by ferry, speedboat, or even plane.